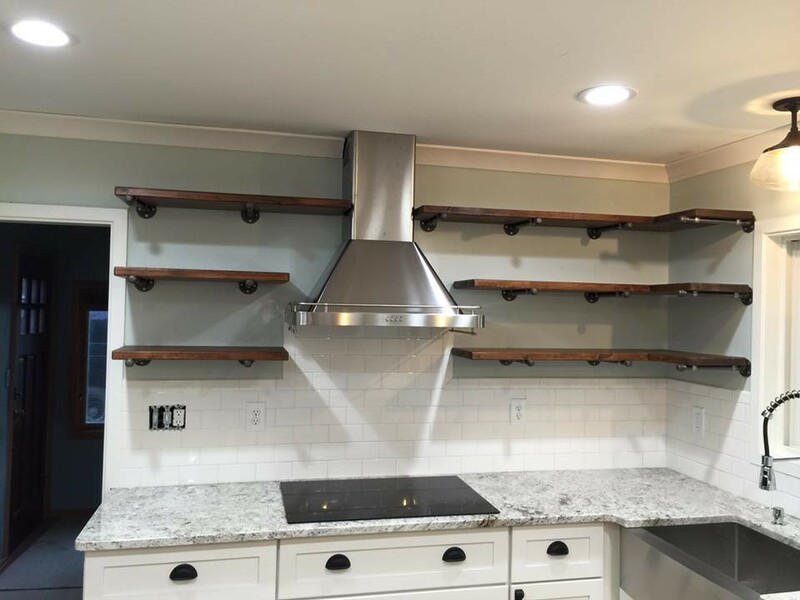 Custom built butcher block shelves instead of upper cabinets. 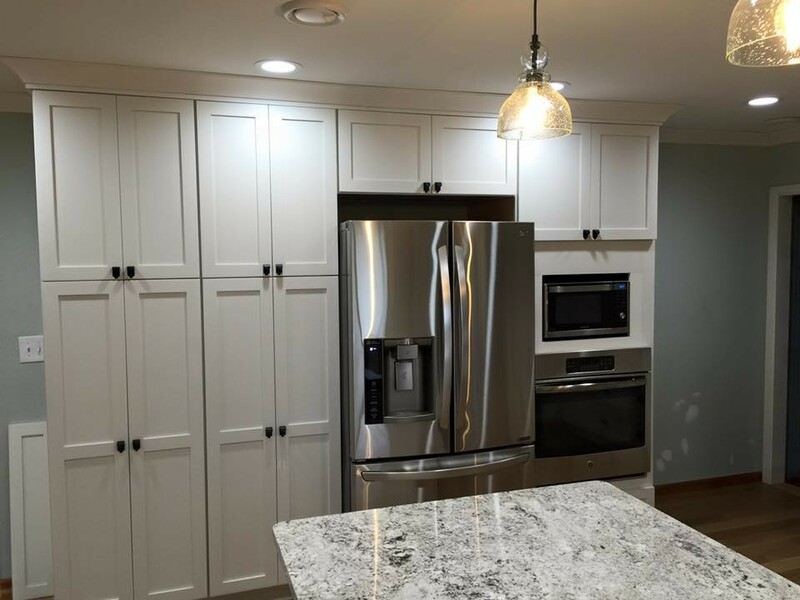 We installed custom shaker cabinets with all plywood construction, solid wood dovetail drawers, custom hardware with soft close. 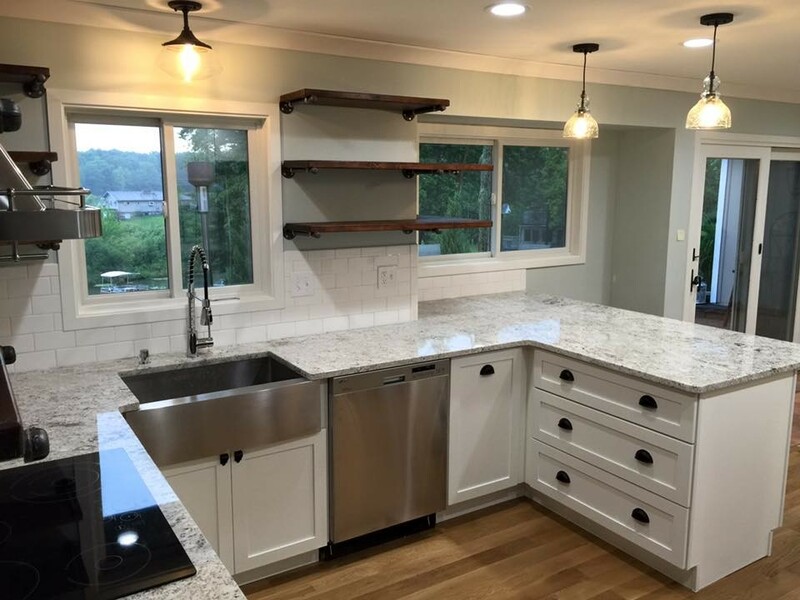 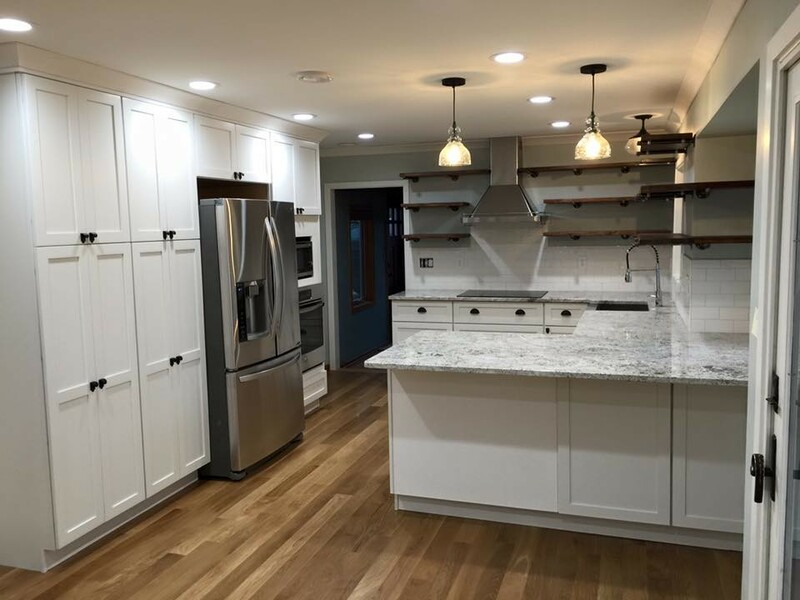 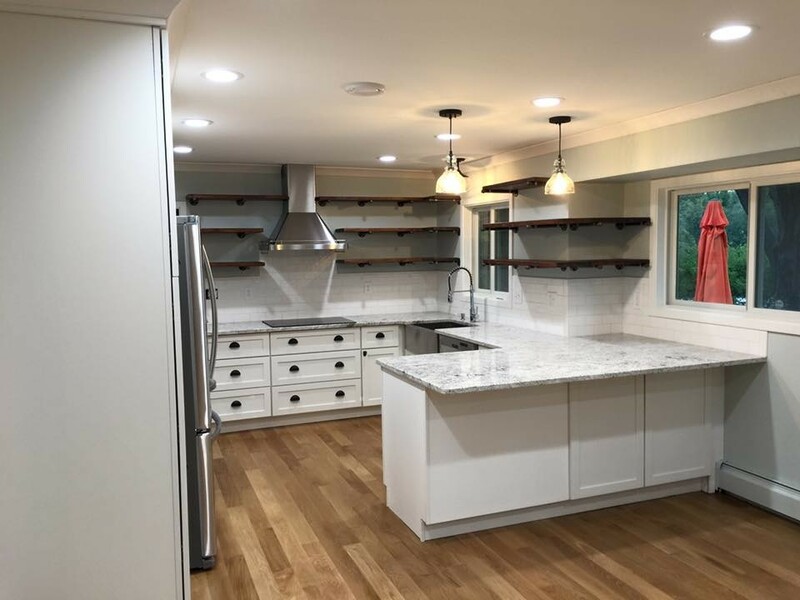 4 1/4" cove crown moldings, stainless farm sink, white oak hardwood, custom pantry with roll out trays, vented range hood and custom appliances. 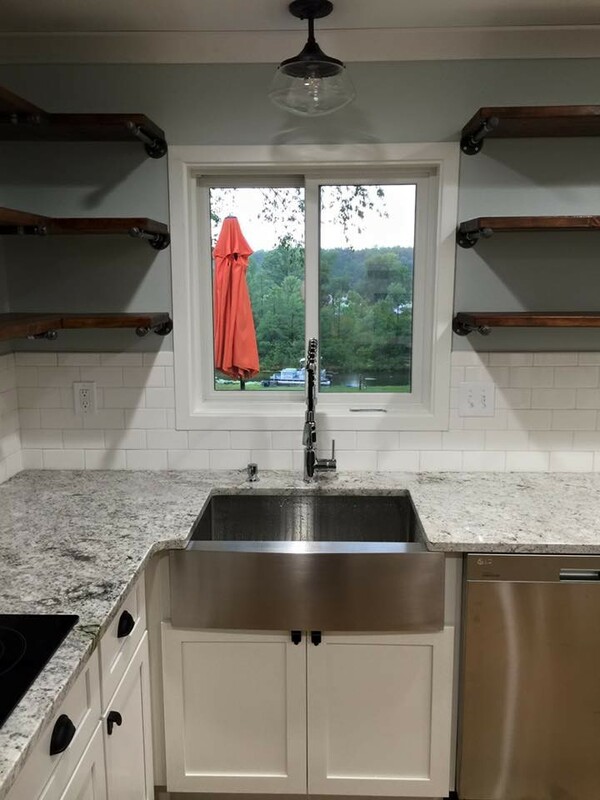 This one is defiantly one of my favorites.